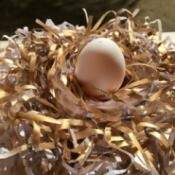 How to Make a Shredded Paper Easter Egg NestShredded paper, glue, and some paint are all that you need to make this Easter egg nest. Let the kids join in for some family fun. This is a guide about how to make a shredded paper Easter egg nest. Remembering to Flip or Rotate Your MattressIf you have a non-pillow top mattress or a two sided pillow top one, you can often extend the life and comfort of the mattress by periodically flipping it over and rotating it head to foot. 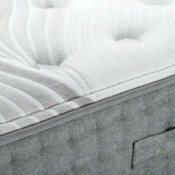 This is a guide about remembering to flip or rotate your mattress. 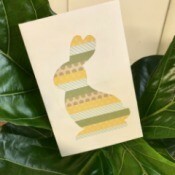 How to Make a Silhouette Bunny CardMaking your own greeting cards is not only fun, but it is a great way to send very unique greetings to family and friends on a variety of occasions. This page contains instructions and photos for how to make a silhouette bunny card. 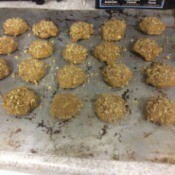 Making Tahini CookiesTahini is a paste made from sesame seeds and adds a rich nutty flavor to these little cookies. This guide is about making tahini cookies. How to Make a Styrofoam Ball Bunny StatueIf you are looking for a different Easter decoration to make this year try this cute and eye-catching bunny statue. 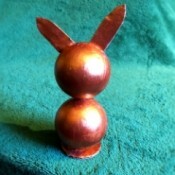 Learn how to make a Styrofoam ball bunny statue on this page. Making Good Red ChiliThere are so many chili recipes and variations out there. 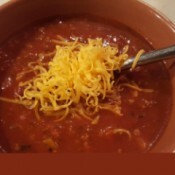 Good red chili is an old fashioned staple of many childhoods; with red beans, tomato sauce and ground beef. This is a guide about making good red chili. 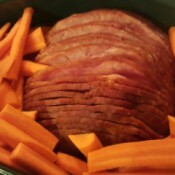 Making a Ham DinnerHam is a favorite main course for a special dinner, especially in the spring and at Eastertime. This is a guide about making a ham dinner. Decorating with ShamrocksShamrocks are used to symbolize Ireland and are a popular decoration around St. Patrick's Day. This is a guide about decorating with shamrocks. 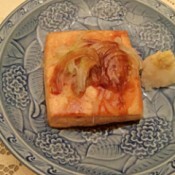 Japanese Glazed Tofu SteakFlavor bland and boring tofu with soy sauce, onion, ginger and daikon radish for a savory meatless dish. This guide has instructions for making Japanese glazed tofu steak. 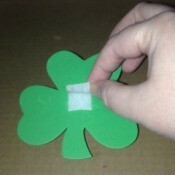 St. Patrick's Day Sponge PaintingKids can use shaped sponges to create a rainbow with a pot of gold, shamrocks or other images representing the Irish holiday of St. Patrick's Day. 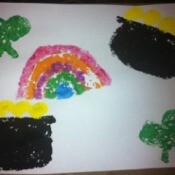 This guide is about making St. Patrick's Day sponge paintings. 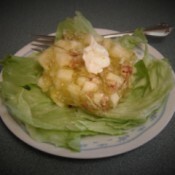 Congealed Cabbage & Apple SaladThis salad is light and refreshing. It's an old recipe that is simple to make using just a few ingredients. Although I prefer apples without the peelings, it would be more colorful if I left the red peelings on the apple. I make it often, just for the two of us. It's also a good dish to take for potluck gatherings and goes well with many foods. I hope you will give it a try. 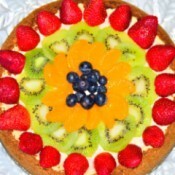 My Mom's CheesecakeThis cheesecake is a little bit different from many others I've had over the years. 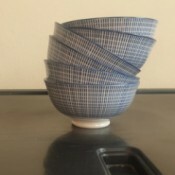 It has layers that you see when you cut into it. There's a few cheesecakes with the sour cream added on top, but I've not tasted or seen any like this one; it is special. Everyone over the years has just enjoyed it to the max. 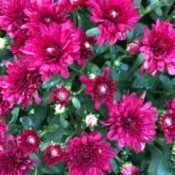 ChrysanthemumsThese are one of my favorite flowers (chrysanthemums) or mums for short. They live well here in South Carolina and I can always get them to bloom 2 times a season. 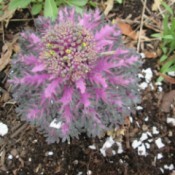 They are so easy to grow and just require a little dead heading (removal of old flowers) to keep producing more. 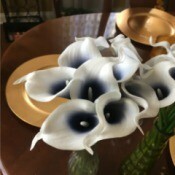 When the flowers are spent, trim back cutting down to about 3/4 of the stalk. This will bring new growth later. Using Eggshells In Your GardenNext time you crack open your eggs, do not be so quick to throw them away! Grind or crush them up and add to your vegetable garden, it will provide many nutrients that may be lacking in your soil. Add to compost. Use in the garden is to deter slugs, snails, and cutworms. They stay away, leaving you with uneaten flowers, plants, and vegetables. Just sprinkle around your planting areas. Shark Fin HatThe popular Baby Shark song has my daughter singing on repeat. 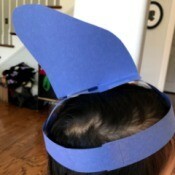 She wanted to make a shark hat to dance to the song. 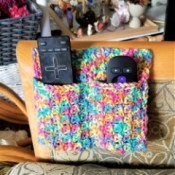 Crocheted Remote PouchWith yarn, a crochet hook, scissors, and hot glue gun, you too can have this little gem. It sure has saved me from picking them up off the floor! Removing Wrinkles from Faux Calla LiliesHow do I get wrinkles out of artificial calla lilies? Bubblegum Bead Keychain Business Name IdeasI make bubblegum bead keychains and I'm trying to think of a fun unique name for my business. 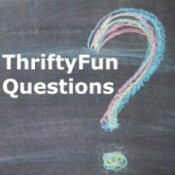 I am just wondering if anyone has any ideas as to what I could name the business. 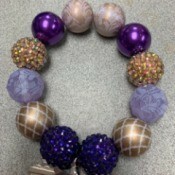 Here is a photo of one of my keychains that I did. Value of Porcelain DollsI have had the doll in this purple dress for almost 20 years. 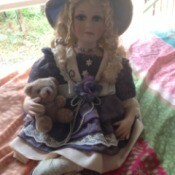 It has Homeart Collector's doll on its back, but doesn't seem to have any other marks on it. I have no idea what year it was made. The second doll I've also had around 20 years has some numbers engraved on the back, but I don't know anything else about it. Mallard Duck Made a Nest in My Front Flower BedLast year we had a mallard duck that laid eggs and sat on them for a couple of weeks. After she did not sit on them for a few days, we discovered 2 eggs left in the nest, but the rest were gone. There were no egg shells like something had taken them out of the nest. The two remaining eggs did not hatch. Discontinued Waverly WallcoveringI am looking for a discontinued Waverly wallcovering pattern #569420. It has a dark green marbled background with thin gold braid creating 1" wide and 1 3/4" wide stripes. I have 6 dbl rolls of lot #4, but could use a different lot # on a different wall. I would like at least 6 dbl rolls. Buying an Older Copy of Corel SoftwareI have an old version of Corel Print House (R) 6 and Corel (R) Custom Photo 6. I have been using and created hundreds of files with these programs over the years. After a recent crash of my computer I need to re-install it. I still have got the original CDs, but no serial number! The extension files are CPH which none of the new Corel versions can open! 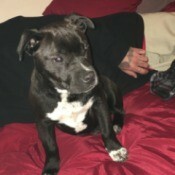 House Training a Pit Bull PuppyI have an 5 month old Pit Bull who refuses to be potty trained. I take him out every 30 minutes. He doesn't do anything, but when we come back in he pees. 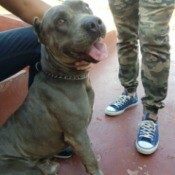 Is My Dog an American Pit Bull Terrier?I bought a beautiful "blue nose Pit Bull" and a few people made comments that the father has some mix or that he looks like an American bully. Your thoughts guys? Name Ideas for a Business Selling Kitchen ItemsI would like name ideas for a business that sells kitchen stuff, mostly plates, platters, and housewares. Replacement Handle for a Thane H2O Steam MopWhere can I buy a replacement handle for a Thane H20 green X5 steam mop please, in the UK? I can't seem to find one anywhere. I've glued it, but I don't think it will last. What Breed Is My Dog?What breed could she be? I found her and rescued her. 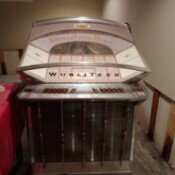 Value of a Wurlitzer JukeboxI would like to find the value of a Wurlitzer jukebox I have. It is in fair condition. The cord needs to be replaced and the coin return does not work. I have had it for 35 years. It worked until the cord dry rotted.